To celebrate its favorite season, the 83rd Annual Atlanta Dogwood Festival welcomes runners and walkers to the Mimosa 5K. Kicking off at Piedmont Park, the run follows a charming path through the streets of historic Midtown before ending with a mimosa toast back in the park. 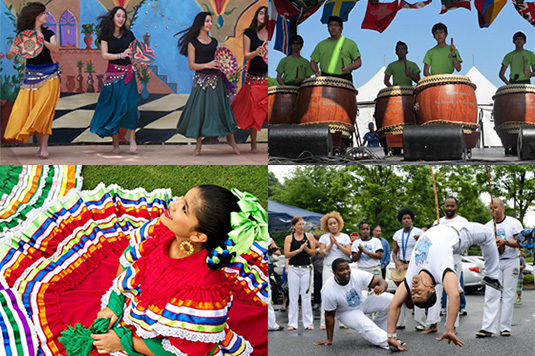 This new annual tradition has begun to attract 1,000+ participants each year. In addition to the fine art for adults and art collectors, there is a Kids Village featuring huge inflatables, arts & crafts and face painting for all ages, as well as the ever-popular 24-foot rock-climbing wall. 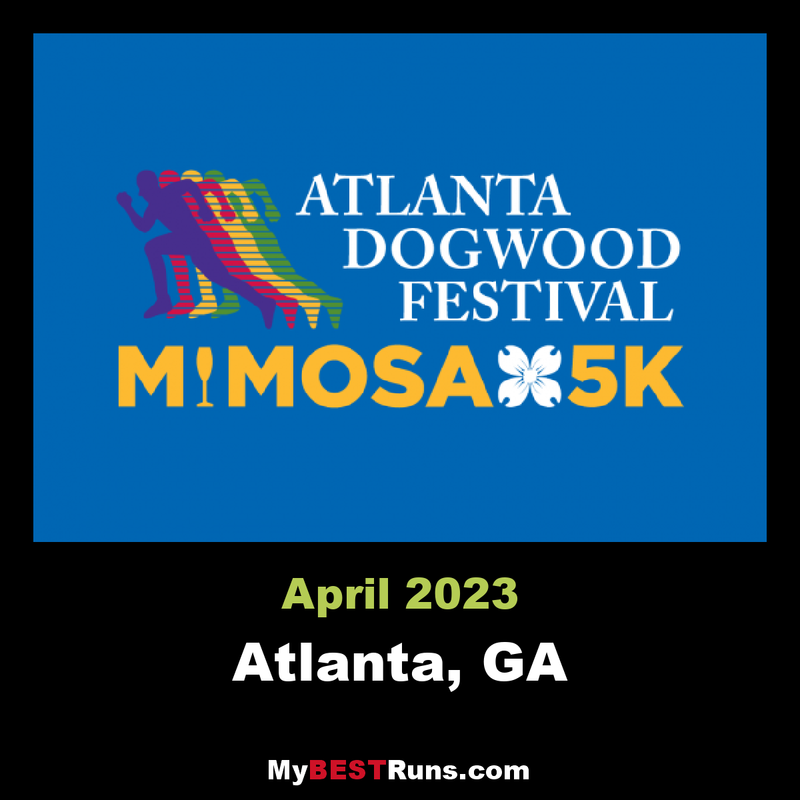 Nothing says happy anniversary like celebrating in the morning, and next spring, revelers and runners can hit the pavement for the Atlanta Dogwood Festival Mimosa 5K in honor of the festival&rsquo;s 80th anniversary. The delightful course through historic Midtown culminates in a champagne and OJ celebration in the park.This event is an AJC Peachtree Road Race Qualifier too! Start/Finish: Piedmont Park, 400 Park Drive, Atlanta, GA 30309. Runners will gather at the corner of Charles Allen Drive and 10th Street. Awards:Male and Female Open and Masters. Top finishers in the following age groups: 10 & Under, 11-14, 15-19, 20-24, 25-29, 30-34, 35-39, 40-44, 45-49, 50-54, 55-59, 60-64, 65- 69, 70 & Over. Age group prizes will include gift cards and engraved champagne flutes. 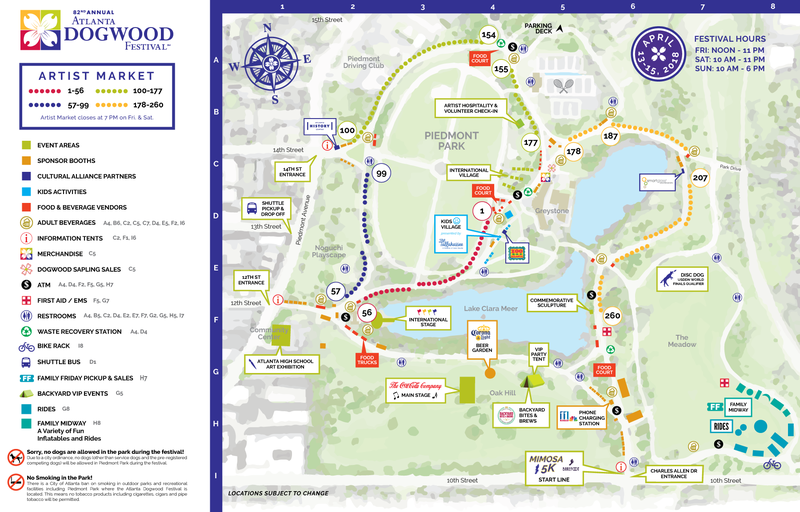 Post-Race:Runners can stay and enjoy the 83rd Annual Atlanta Dogwood Festival – admission is FREE!